On Sat 25 May 2019, approximately 1,500 folks will amass in the gorgeous seaside town of Ballyvaughan, Co Clare, to take part in one in the cracking Clare Burren Marathon Challenge. To be precise, three events will be taking place that day – a full marathon (26.2 miles), a half marathon (13.1 miles) and a mini-marathon (6 miles). With a mass start from the pier in Ballyvaughan, this town will be completely abuzz as participants head off on their chosen route. 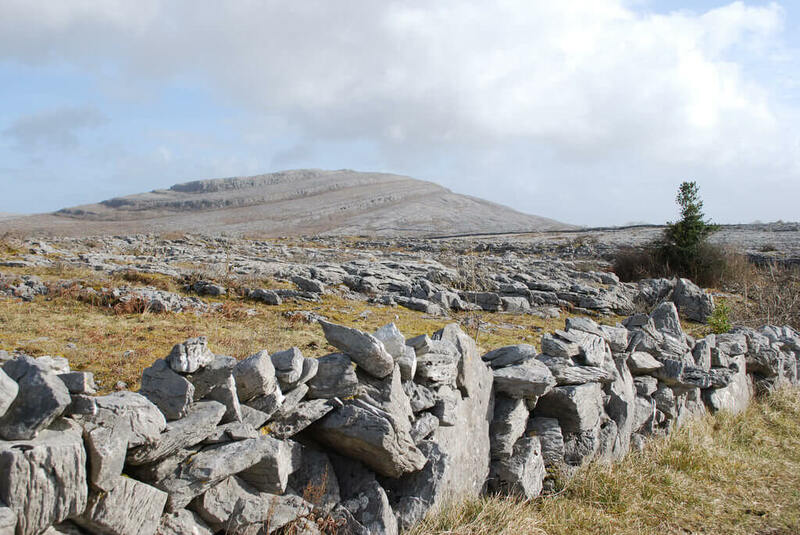 What each route does have in common though is that each runs through the stunning Burren National Park. And boy oh boy are those taking part in for a treat. 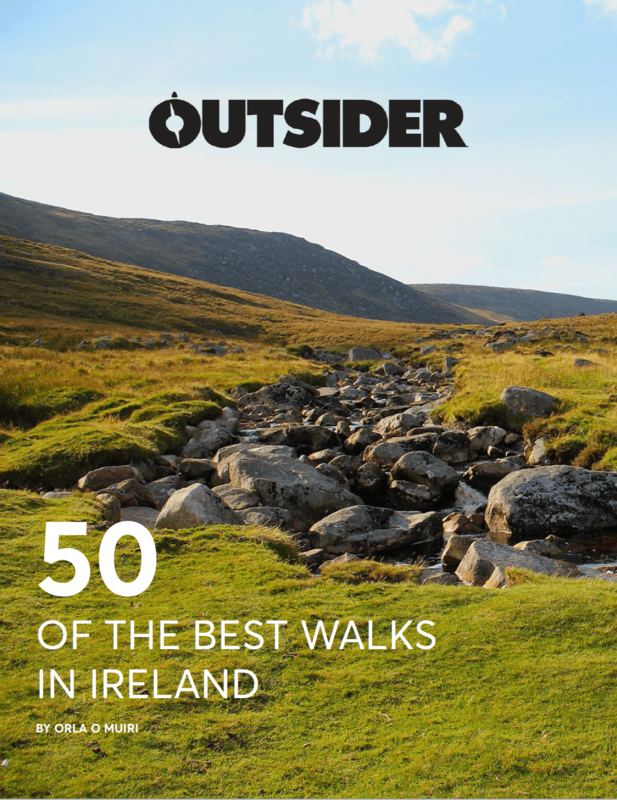 May is the perfect time to visit the incredible lunar-landscape-like Burren because it’s when the place is carpeted with orchids, gentians and other wild flowers. If you’re keen to sign up, you’ll find out everything you need to know below! Is this event aimed at runners, walkers or both? This event is perfect for all levels – from elite athletes to walkers, wheelchair users and even buggy pushers. As mentioned above there is a full marathon (26.2 miles), a half marathon (13.1 miles) and a mini-marathon (6 miles) on offer. Under 16s are welcome to take part in the mini marathon event only. 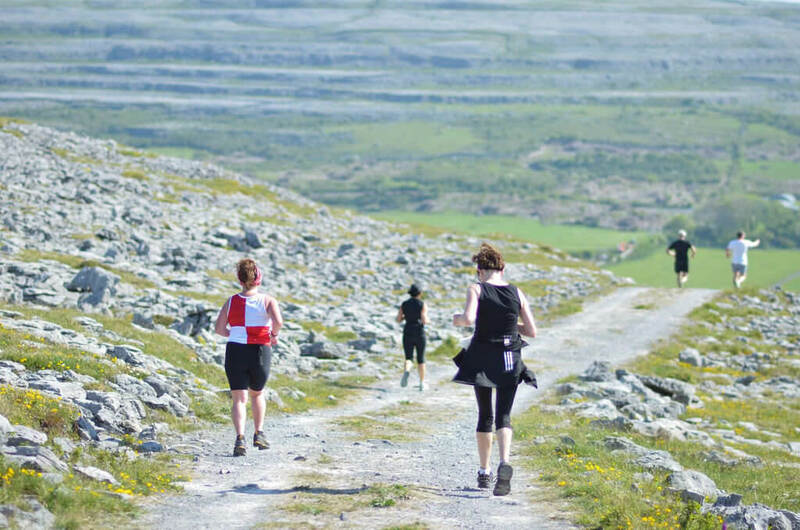 The terrain is one of the reasons that the Clare Burren Marathon Challenge is so unique and why participants are so diverse. The marathon and mini-marathon take place on a combination of road, green road (you know those lovely traffic-free ones with grass growing up the middle and lined with stone walls! ), and off-road trail. This varied terrain really adds to the events as with the constant changing surface, you will never be bored. The mini marathon takes place on surfaced roads, so it is suitable for wheelchair users or those pushing buggies, which means this really is an inclusive event where families, clubs and groups of friends can take part and find a distance to suit them. We’ve been told that over the years, hen and stag parties have even taken part! No! The route for all events is fully marked and marshalled. Yes! There are aid stations with water approximately every four miles. And there are toilets along the route. There are also stations where you’ll get fruit and chocolate and goodies to keep you well-fuelled and moving. And if you really do hit the wall, rescue pick-up is available. You can also expect massages to be available for your weary muscles back at the finish and you’ll get soup and rolls in Monks pub too. Are the routes relatively tough or easy? The mini marathon route is flat and because it’s on well-surfaced road, it’s relatively easy. The marathon and half marathon routes, on the other hand, offer plenty of challenges. The terrain will be really varied for a start. Secondly, you can expect a hilly course. The marathon’s toughest climb comes at mile 11 and the total height you’ll ascend and descend is 2700 feet approximately. The most challenging climb on the half marathon comes at mile 8 and your total height ascended and descended is 1650 feet approximately. Whatever hardships the race throws at you, the stunning scenery should make up for it. Wild Atlantic Way scenery will more than make up for the hardship. The full marathon brings participants over the Caher Valley and Black Head with its magnificent views of Galway Bay and the Aran Islands. 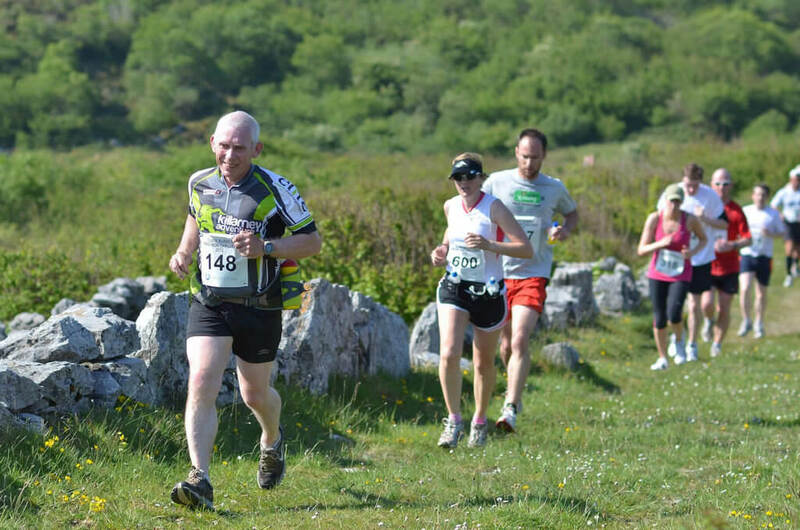 The half marathon takes you over Gleninagh with glorious views of Connemara. Finally, the mini-marathon includes Cappananwalla and views of Aillwee and Ballyvaughan. On Saturday night, there will be a music and ceili session in the famous Monks pub. With 1,500 participants expected to take part in the event, we imagine that will be one great party atmosphere! Gorgeous! 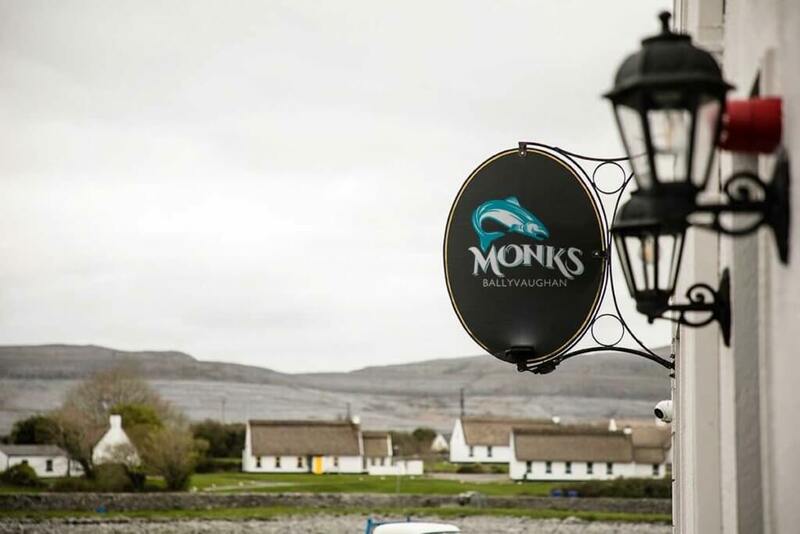 Located in the heart of the Burren, it’s right on the water and has a great collection of cute cottages, cosy pubs, great food and a charming pier. It’s a great spot to spend a weekend. So you’ll have no trouble persuading your friends or family to join you for the event. Mini marathon: €20 / €10 if you’re under 16. Check out the Clare Burren website for more info and to sign up for this awesome race.